Hello MIUIers, hope you are doing well. Today we talk about most awaiting phone problem. Yes, we are talking about Xiaomi Redmi Note 5 / Redmi Note 5 Pro. 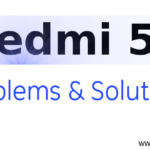 Here we talk about basic problems and solutions of Redmi Note 5 Pro mobile. As you know this phone has a powerful battery of 4000mAh But if still, you don’t get a proper backup then you must need to something in your phone because Xiaomi’s new Redmi Note 5 is capable to give 2 days backup even in full usages like WhatsApp, normal mail, and browsing, few videos calls. 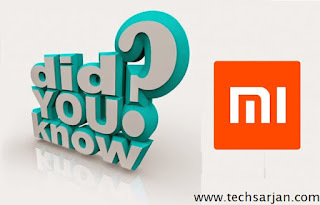 But if you are facing low battery problem in Redmi Note 5 then you must have to do some actions on your phone. 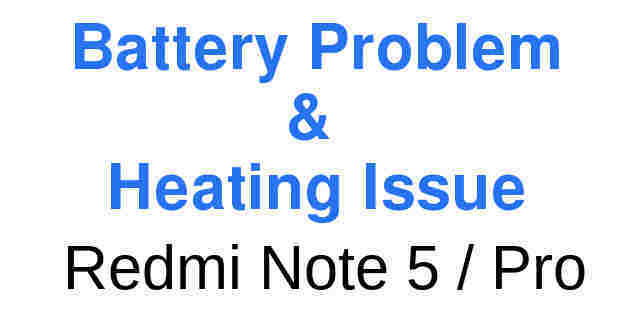 So in this Article, we discuss Redmi Note 5 pro basic problems and solutions which may be related to Battery backup, heating related issue, performance issue in Redmi Note 5 pro, the Hanging problem in Redmi Note 5, Phone freeze problem in Redmi Note 5. 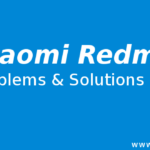 Here we share all possible problems solutions. As you know Redmi Note 5 Pro comes with Snapdragon 636 processor which have a good RAM (4GB / 6GB). When we talk about camera section then always Xiaomi behind from other companies. But this time not, Here in Redmi Note 5 you get the 20MP front camera so forget Redmi Y1 and go for this awesome device. Redmi Note 5 Pro comes with Xiaomi’s custom screen MIUI 9 (Lightning fast) which gives more power to Redmi Note 5 Pro because you know Software is more important part of any device because software decides how to utilize all resources and our MIUI 9 do all these tasks smartly. If your Redmi Note 5 Pro doesn’t give good battery backup then there are many reasons responsible for this. In most of the cases, fast battery drain occurred because of background apps problem. You don’t know, but many apps are running the on background and eat phone’s battery. So you need to check which app consuming more power on your phone. How to check which app consumes more power (eat battery power) in Redmi Note 5 Pro? Go to security app. Tap on Battery usages. Now here you need to choose Battery use section. Now system shows all apps which are responsible for your fast battery drain. Here you get any app which you are not using but which consumes more battery power then you need to disable that app. Here these apps maybe Jio Music, Jio Cinema, Paytm, Hike etc. 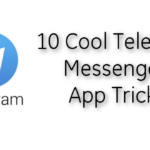 these apps have auto start permissions so they start in the background and eat battery power as well as system resources which responsible for phone heating. If any app running in the background then you can force close that app via going to Security -> Manage Apps section. Once you tap on manage apps sections here you get all apps which is installed on your Redmi Note 5 Pro. now choose that app which you want to force close. Just tap on your required app and now on the bottom, you see a force close option. Apps automatically start even disable in autostart section. How to Solve? Like you disable hike app in auto start section but this app automatically turns on again and again even after force close, this app auto start after some time. In India, we say Jiddi App, which always auto starts even after force close. But our beloved MIUI 9 have a good solution to handle this type apps. Go to security app -> Battery usages -> App battery saver. Now all installed apps appears on the screen. Here you need to your required app which you want to always close until you don’t turn on. Select that app after that a battery profile section appear on the screen. Here you need to choose Restrict background activity profile. These are the basic solution for fast battery drain. please analyze battery usages and figure out which task responsible for fast battery drain in your Redmi Note 5 Pro then take action. If you don’t understand then please share the screenshot with us. We will tell you what the actual problem. If your Redmi Note 5 Pro heating too much then something went wrong in your Xiaomi phone because in general Redmi Note 5 pro won’t heat. If you receive the latest update from MIUI or you just moved Global stable ROM to Global developer ROM then heating is normal. Becuase when you receive a new update from MIUI then you need to clear your old cache data which is a conflict with new files. So go to security app and use the cleaner app to clean your system after getting a new update on your Redmi Note 5 pro. When you move from stable ROM to Developer ROM then heating possibilities high because developer ROM always in development mode so maybe you face a heating issue. 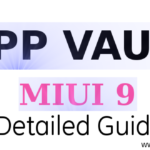 If you don’t know about MIUI ROM versions like Global ROM, Recovery ROM, Fastboot ROM, Stable ROM, China ROM etc then please read this detailed guide on MIUI ROM versions. Please clear the cache data and reboot your device to solve the heating issue. Also, check system stats to check what actually happened behind the scene. If your Redmi Note 5 Pro heating during charge, then please try with different USB cable as well as a different charger. Make sure your phone’s GPS is turned off. WiFi is off when not in use. If you stored a long file like 3GB File or any other long video file then please try to remove this file from storage and try again. If still your phone heat then please go to nearest Mi service center with original invoice copy of your phone. 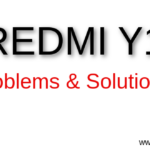 If you have any other problem which is related to Redmi Note 5 Pro then please tell us via comments. i am facing a heating Issue during Calls. When I am talking over the phone for 5 minutes or more. the phone heats up like an Iron. Please suggest some fixes here. I have Redmi Note 4, for more than a year, last week It suddenly becomes very hot and dry battery very fast and get charged very very slowly, I tried several solutions but no use, at last I tried (Hard Reset) and it was fixed and now it works fine.